Carole Lally has taught survival English to several students. Carole Lally remembers how hard it was for her to move to a new country and not speak a word of the local language. She never forgot the kindness of a stranger who became her lifeline, and she vowed to pay the favor forward once she retired. Years ago, Carole’s husband took a job assignment in Serbia. Although her husband could rely on an interpreter on the job, Carole was on her own to get around Belgrade. Fortunately, her landlady spoke some English and offered to teach Carole enough Serbian to survive – the names of foods in the local market, the routes of local buses, everyday expressions. 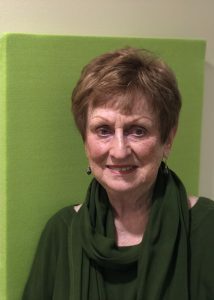 Eventually, Carole was able to enroll in language classes, and she became immersed in the local culture until she and her husband moved back to the United States two years later. 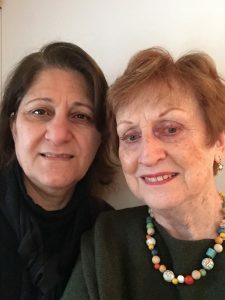 "Because someone cared enough to help me learn a new language,” Carole recalls, “I knew that I wanted to help someone else." Carole with one of her students, Sundus. After Carole retired as an office manager at a law firm, she sought training as a literacy tutor for Oakland Literacy Council. Since 2012, she has helped several immigrants learn survival English – and so much more. “I’m truly interested in them achieving their goals and becoming successful in a new society,” she says.